Our folkstyle program has been one to reckon with not only within our state but within in the region as the Rose Hill Wrestling Club. The last fours years our program has risen from 108th in the state of Kansas to 3rd. Yet when we start we had 26 wrestlers and in less than four years we have grown to over 100+. We decide to use our Freestyle and Greco program the South Central Punishers and fully integrate it into folkstyle. 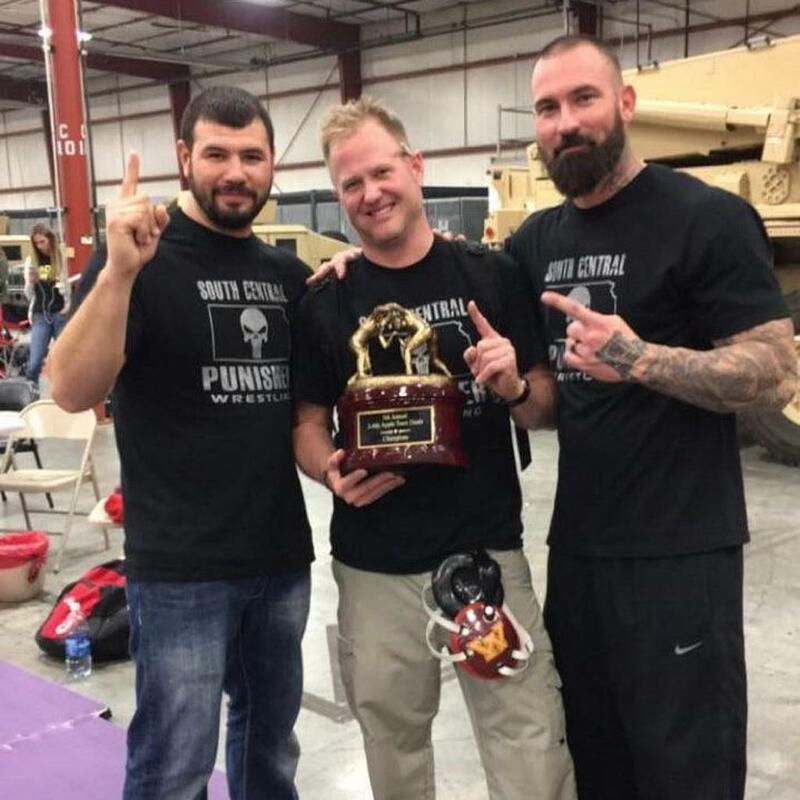 In the past our Punisher program as served as the premier Freestyle and Greco team in the state since its inception. Yet for large dual tourney events and summer tournaments we would assemble a team. And when the Punishers have gotten together so has the commitment to excellence on the mat. So our transition to the Punishers in folkstyle will allow us to take down village barriers and work with kids from all over the region regardless of where they live yet with the priority of just making them better. We have the luxury of having a coaching staff that comprises of high school coaches from three different school districts. Our coaches have wrestled at the international, collegiate, and high school bringing in extensive knowledge to all aspects of the sport. Our volunteer staff is even better as they are just as dedicated to our wrestlers and will do anything putting the "Team" first in every task, practice, tournament, and our future first and foremost. When folks come to our program that is the vision we talk about with passion and then back it up while working it for every week of the year. So really how did we get there? Well the answer is simple: hard work, superior coaching, kids that wanna get better, and families that support their wrestlers. Yet we have folks from all over come in with the belief that our environment is the best for their kid to succeed. We have wrestlers from: Rose Hill, Derby, Andover, Wichita, Wellington, Douglass, Emporia, Ark City, Mulvane, etc. We believe in the formula we have created both on and off the mat so let's take a look at how we fared against the best across the country at the toughest tournaments. Our folkstyle program is divided into three well defined wrestling practices based on aptitude and performance. Our novice wrestlers practice two times per week and their season ending in the middle of Feb at the Novice Championship. Our open room is designed for our open level wrestler aspiring to make it to the state tournament. While our state room is exactly that all of them are returning state qualifiers. On Thursday each week we fully integrate our open and state level rooms giving our wrestlers a totally different look as they prepare each week. This season we bring back the best high school division and our wrestlers will be deeper and even better. Our 10U and 8U will be among the best in the state; if not the best as well. We wrestle in the toughest district in the state, have a great road wrestling schedule, and only compete at the best tournaments. In order to be the best you have to go find and wrestle the best. Our team goal this season is simple: Team State Championship. If you are wanting to wrestle for team where everyone is accepted and valued, be apart of something from the ground up, and be in the hunt for a state championship then make no mistake the Punishers is for you.